Hello, I am Gabrielle Heide the owner of Studio Claremont. 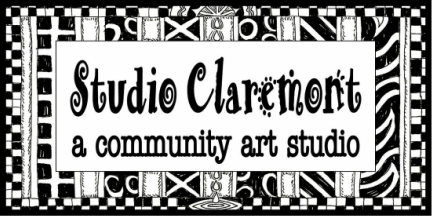 Studio Claremont is the studio I've always dreamed of having, a perfect place for EVERYONE to be creative! I received my BFA in ART from Cal State Long Beach 1986 and my teaching credential from Cal Poly Pomona in 1987. Over the last 30 years, I have taught art to students of virtually all ages, pre-school, home school, elementary, junior and senior high school, adult school, senior citizens, as well as the physically and developmentally disabled, in the Claremont and Upland Unified School Districts. My daughter, Jacqueline Heide is also an art teacher here and currently working on her Bachelor's Degree in Sociology at Cal Poly Pomona. She grew up in Studio Claremont so it's in her genes too! WE HAVE THE BEST JOBS IN THE WORLD!!! AND ART IN OUR COMMUNITY!! !